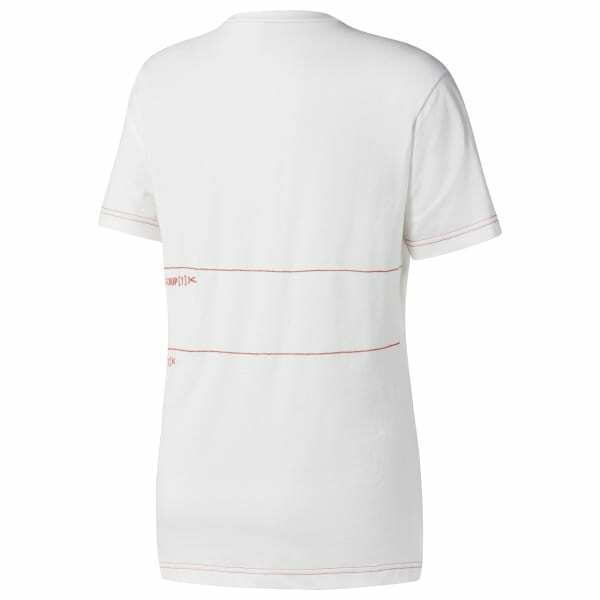 This collaborative tee features infographics and a dotted line for custom cropping. Crop to a mid-length tee or to a mini crop. 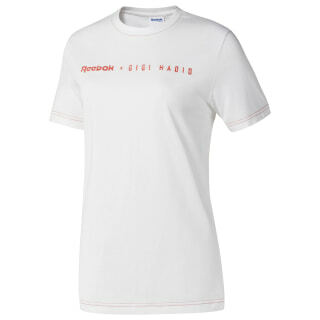 About Reebok X Gigi Hadid: Gigi Hadid’s premier capsule with Reebok emerges for the FW18 season.With Gigi’s undeniable eye for fashion driving the inspiration behind Future Nostalgia, the 90’s inspired capsule celebrates future-forward designs on Classic silhouettes.